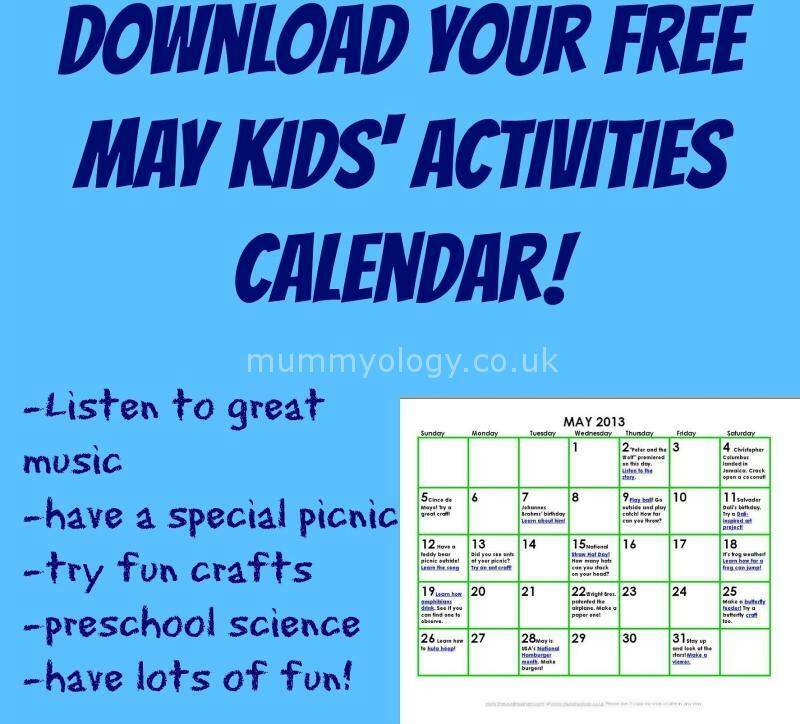 Last month’s free activity calendar was really well received, so I’ve made a free May kids’ activities calendar for you to download. On the assumption that we’re all outside more now, I’ve given you more outdoor activities and a few less crafts this month, plus some rainy day fun just in case. I hope you like it! The best way to use it, as last time, is to save it to your desktop so you can click straight through to the links. You can download your free May kids’ activities calendar right here. Thank you thank you! We loved the April calendar. Our grass heads are still going strong! You just made my day! Thanks so much for the feedback! I love the activities now the weather is getting warmer.